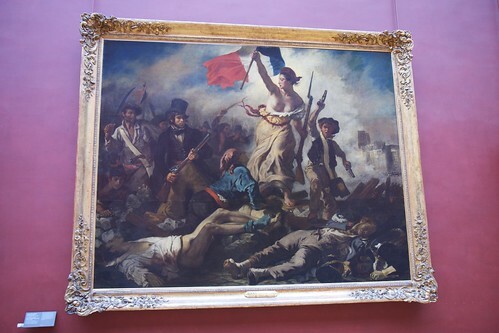 Liberty Leading the People (French: La Liberté guidant le peuple) is a painting by Eugène Delacroix commemorating the July Revolution of 1830, which toppled King Charles X of France. A woman personifying the concept and the goddess of Liberty leads the people forward over the bodies of the fallen, holding the flag of the French Revolution – the tricolour flag, which remains France's national flag – in one hand and brandishing a bayonetted musket with the other. 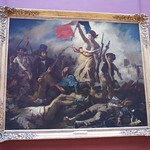 The figure of Liberty is also viewed as a symbol of France and the French Republic known as Marianne.